This beautiful little white cotton baby gown is made by Highland Porch, a leading designer of heirloom quality infant apparel. 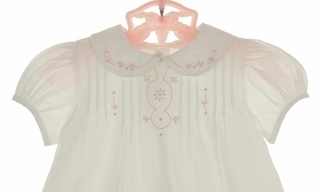 It features pintucks on the bodice with delicate pink embroidery on the front and Peter Pan collar. 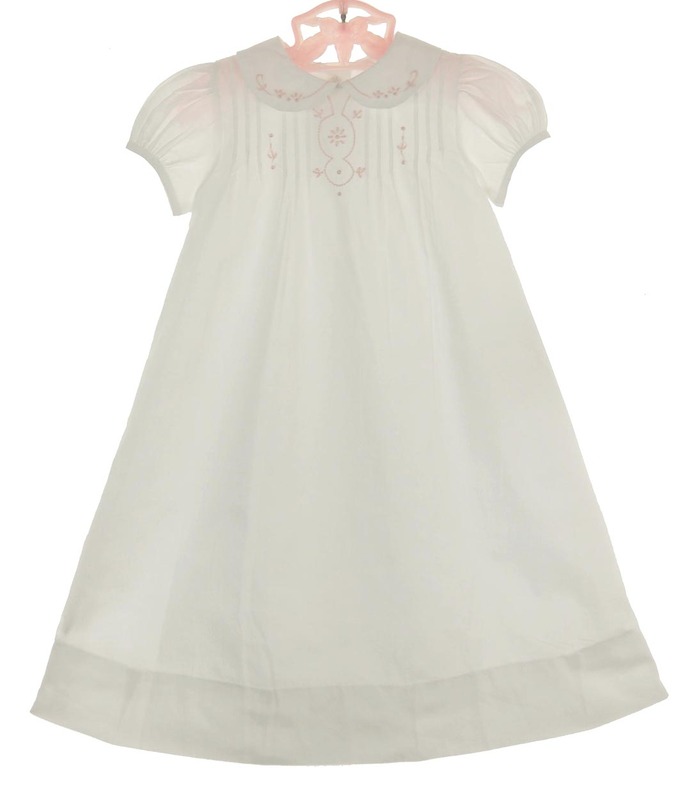 It has short puffed sleeves and closes all the way down the back with white covered buttons, in true heirloom style. It even includes a matching white slip. 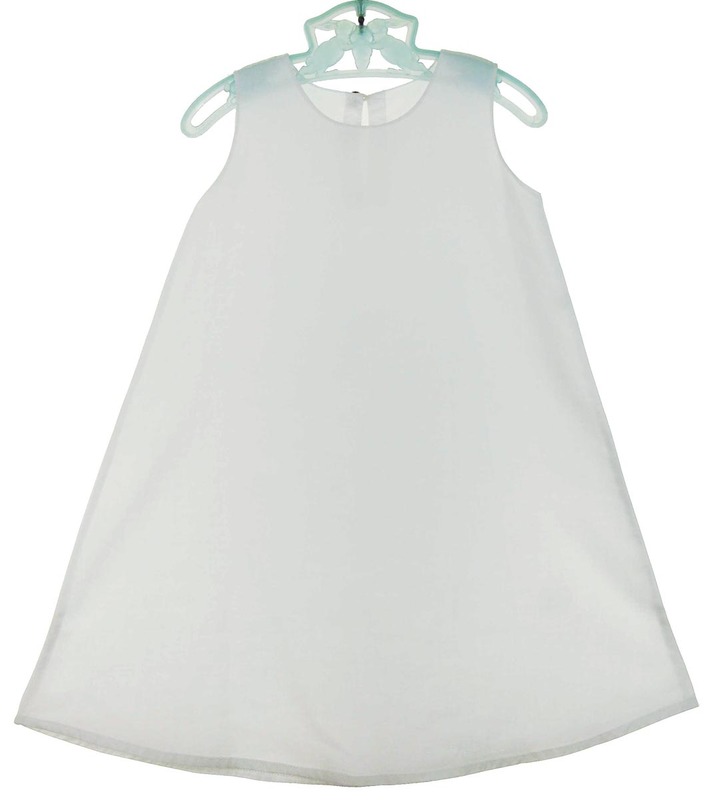 The perfect take home gown or informal baptism or dedication gown for your baby girl! Note: Similar heirloom style gowns are also available in white with pink rosebuds, white with blue embroidery, and blue with blue embroidery. See below.